In short, the DOJ doesn't appear to have a clear charge against Assange yet. Then there's the optics of dragging Assange out of Ecuador's London Embassy and into the United States, then prosecuting him, and if successful - jailing him. "Prosecuting someone for publishing truthful information would set a terrible and dangerous precedent," said Assange lawyer Barry Pollack - who says he hasn't heard anything about a US prosecution. "We have heard nothing from authorities suggesting that a criminal case against Mr. Assange is imminent," he added. It's no secret that Assange and Hillary Clinton aren't exactly exchanging Christmas cards, however would WikiLeaks' release of damaging information that was hacked (or copied locally on a thumb drive by a well-meaning American), be illegal for Assange as a publisher? Despite scant clues as to how the DOJ will prosecute Assange aside from rumors that it has to do with the Espionage Act, the US Government is cooking on something. John Demers - head of the DOJ's national security division, said last week regarding an Assange case: "On that, I'll just say, we'll see." Beginning in 2010, the Department of Justice beginning under the Obama administration has drawn a distinction between WikiLeaks and other news organizations - with former Attorney General Eric Holder insisting that Assange's organization does not deserve the same first amendment protections during the Chelsea Manning case in which the former Army intelligence analyst was found guilty at a court-martial of leaking thousands of classified Afghan War Reports. US officials have given mixed messages over Assange, with President Trump having said during the 2016 election "I love WikiLeaks," only to have his former CIA Director, Mike Pompeo label WikiLeaks akin to a foreign "hostile intelligence service" and a US adversary. Former Attorney General Jeff Sessions has said that Assange's arrest is a "priority." 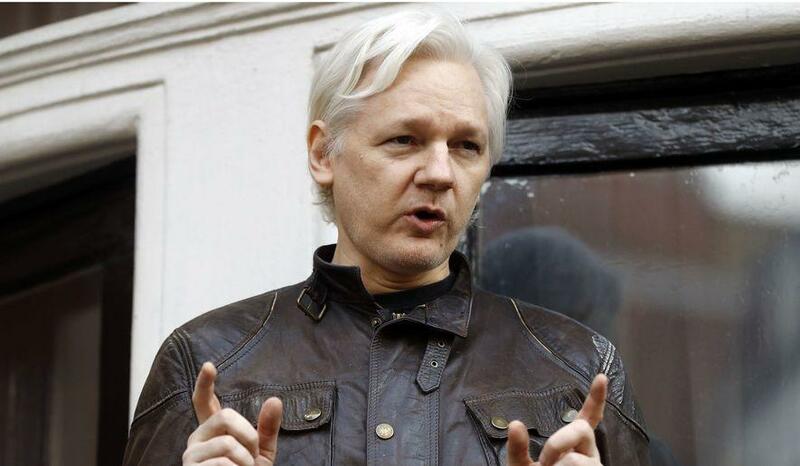 Ecuador's relationship with Assange, meanwhile, has deteriorated considerably with the election of President Lenin Moreno - who called the WikiLeaks founder a "stone in our shoe," adding that Assange's stay at the London embassy is unsustainable. Assange and Ecuador seem to have worked things out for the time being; with his months-long communication blackout mostly lifted (with strict rules against Assange participating in political activities that would affect Ecuador's international relations). Assange is now allowed Wi-Fi, but has to foot the bill for his own phone calls and other communication. "Ecuador hasn’t violated the rights of anyone," Attorney General Íñigo Salvador said after the court ruling. "It has provided asylum to Mr. Assange, and he should comply with the rules to live harmoniously inside Ecuador’s public installations in London." Assange's attorneys say he will appeal the ruling - however it may be a moot point if he's dragged into a US courtroom sooner than later.